Origami Hearts is a super sweet theme that features a pastel watercolour background with a round border of paper hearts. This is one of the most customisable card, so get your creative juices flowing with your choice of colours and font pairing! 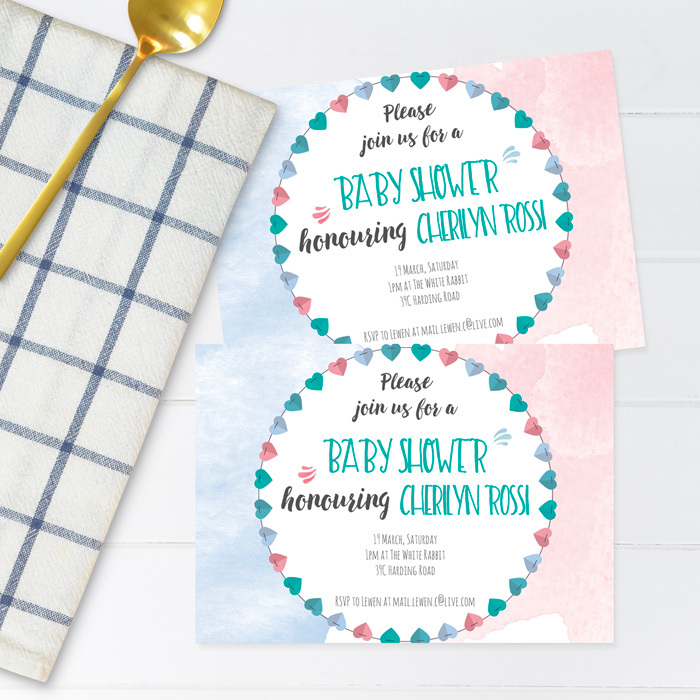 Perfect for baby showers, birthdays, or a dreamy event.